"Life is short, and we do not have much time to gladden the hearts of those who journey with us. 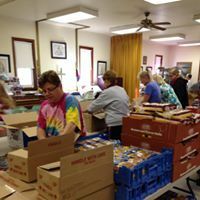 The Saint Barnabas Cares Food Pantry provides food and personal care items to residents of zip codes 08251 and 08204 in Lower Township. If you are in need of assistance, please bring a photo ID and proof of residency (e.g., utility bill, copy of a lease) to the pantry during our open hours which are 6 to 7 PM on Tuesdays. The pantry is in our church hall. 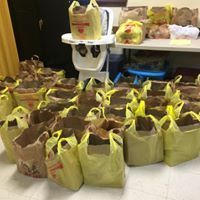 Hunger never takes a break and we continue to need support. 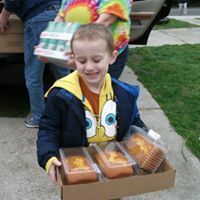 If you are able to make a food donation (non-perishable items only, for example powdered milk, peanut butter, jelly, spaghetti sauce, and instant oatmeal), please deliver the items during our open hours or email the Saint Barnabas Cares Food Pantry coordinator to set up a drop-off. You can reach Leslie Flick, our coordinator, at lesbeth1@comcast.net or by calling the church office at 609-886-5960. Please make checks payable to Saint Barnabas Food Pantry. We also appreciate clean, plastic shopping bags you want to recycle. Our pantry and thrift store put them to good use all the time. Thank you to you, all our helping neighbors, who are helping neighbors! 11 AM to 3 PM on Tuesday, Wednesday, Thursday, Friday, and Saturday. 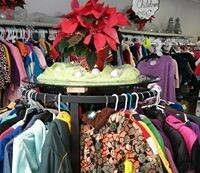 New and gently worn clean clothing and shoes. Fitting room available. Nothing over $5. Cash only, please. 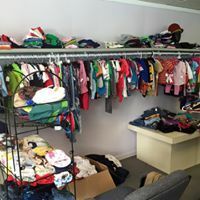 Clothing donations are sincerely appreciated and may be stopped off during store hours. 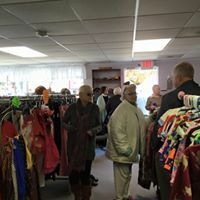 Please click here to visit our thrift store on Facebook. 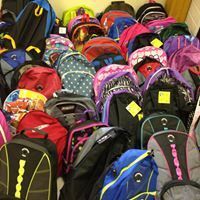 Every August, Saint Barnabas provides school supplies, backpacks, and other essentials to local school children, whose families need a little help buying these items. This way, the kids have the supplies they need to learn, on the first day of school. Donated school supplies always are appreciated.